← Do you prefer A La Carte Pricing or All Inclusive? In Sunday’s NYT Nick Bilton wrote a stimulating piece comparing Instagram, a social media photo sharing app that was just sold to Facebook for $1 billion, to the long forgotten Polariod and recently bankrupt Kodak. How was a 13 employee startup able to build a billion dollar company in less than a year and a half while Kodak in filing for bankruptcy claims to have accrued debt that is more than a billion and a half dollars higher than its assets? 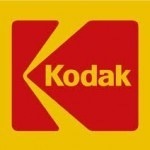 We might say that Kodak just doesn’t know anything about the photo sharing industry. We might, but that wouldn’t be true. They’ve been in that business with Kodak Gallery for over 10 years, but of course they lack anywhere near the 100 million users that Instagram has acquired in the last year and a half. Kodak board member Michael Hawley said, “It’s a little like asking why Hasbro didn’t do Farmville,” Well, why didn’t they? Why can’t big companies have ideas, too? My opinion is that they can and do have ideas – they just can’t execute on them. They stand in the way of their own innovation with rules for new ideas that all but guarentee their failure. There are exceptions. Apple is built on delivering on new ideas. But for every Apple there are dozens of Kodaks. Too bad. This entry was posted in Business, Management and tagged Apple, Facebook, Instagram, Kodak, photo sharing, Polaroid. Bookmark the permalink. I wonder if Kodak went the way of the Swiss watch makers when digital watches came out. The Swiss just couldn’t believe that a watch didn’t need springs, sprokets, and manual windings so their share of the market has been greatly diminished.